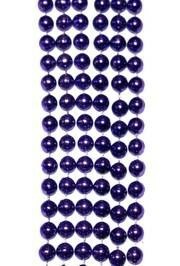 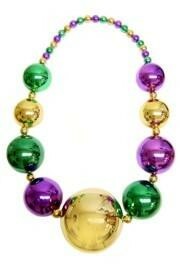 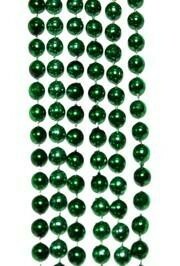 Our Mardi Gras Big Ball Necklace is a long bead at 54in in length. 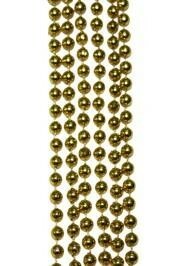 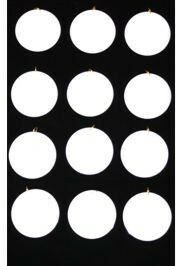 The big beads tapper from 80mm, to 100mm, to 150mm in diameter. 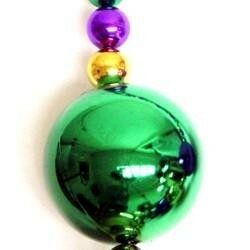 Beads on the necklace are purple, green, and gold beads with 20mm spacers in the same colors. 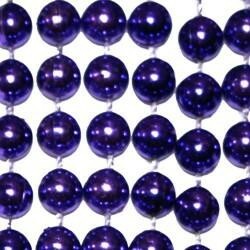 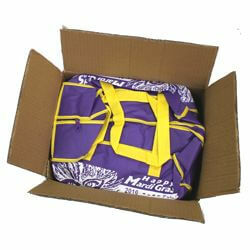 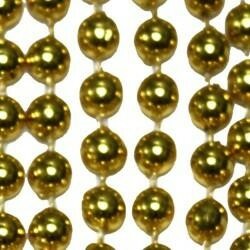 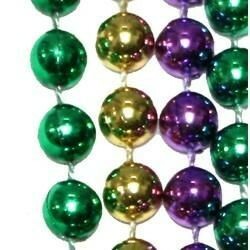 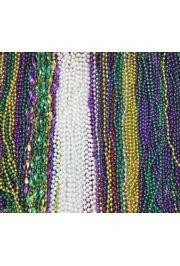 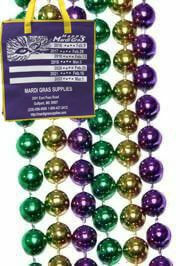 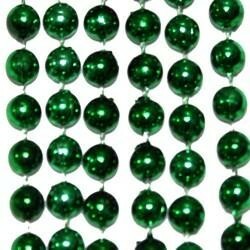 These specialty beads are perfect for parties and Mardi Gras parades.